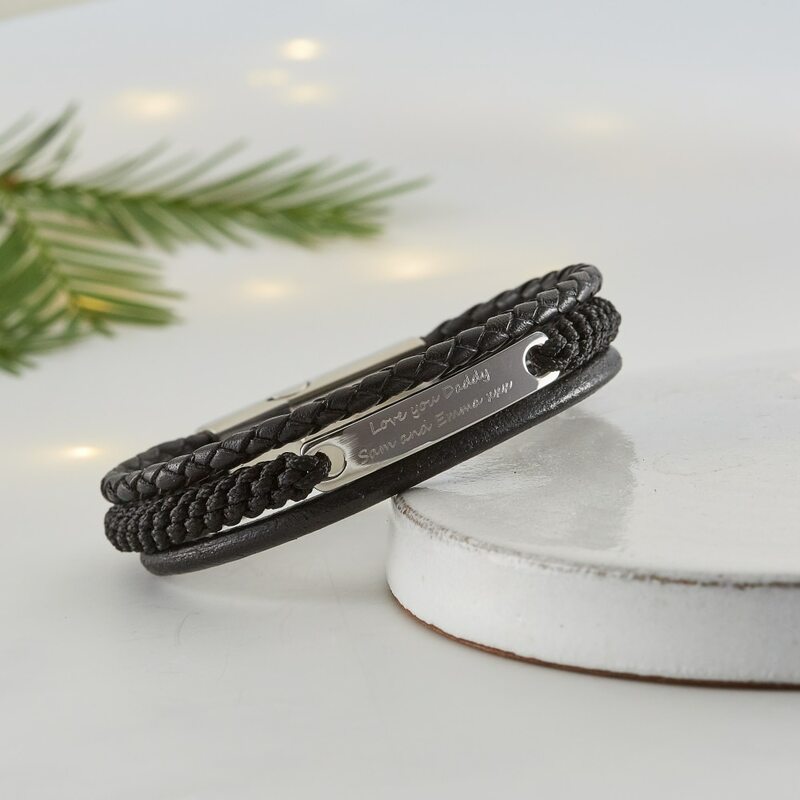 Our personalised men’s bracelet has two leather strands either side of a cord creating a completely unique look to be stacked with other leather and cord designs. Our stylish and classic bracelet has three strands of treated, hard-wearing plaited leather with a stainless steel plate. The stainless steel plate can be personalised with a message of your choice, to make this a sentimental and completely bespoke personal gift. 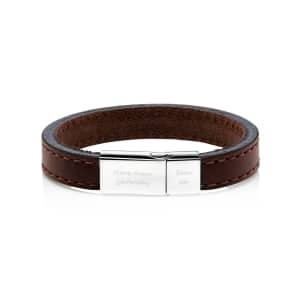 Get this leather bracelet personalised with a date and co-ordinates as a reminder of your wedding day or honeymoon, or with a lovely message for your Dad from the loves of his life. 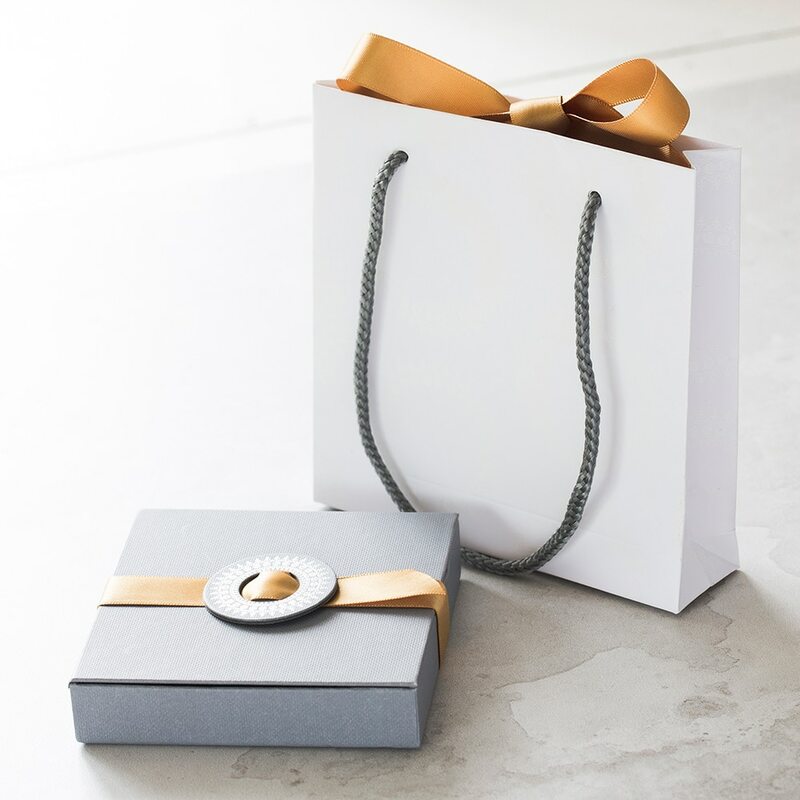 A stylish bespoke accessory that will make the perfect gift for any occasion, whether birthdays, valentine’s day, father’s day, anniversary or Christmas. 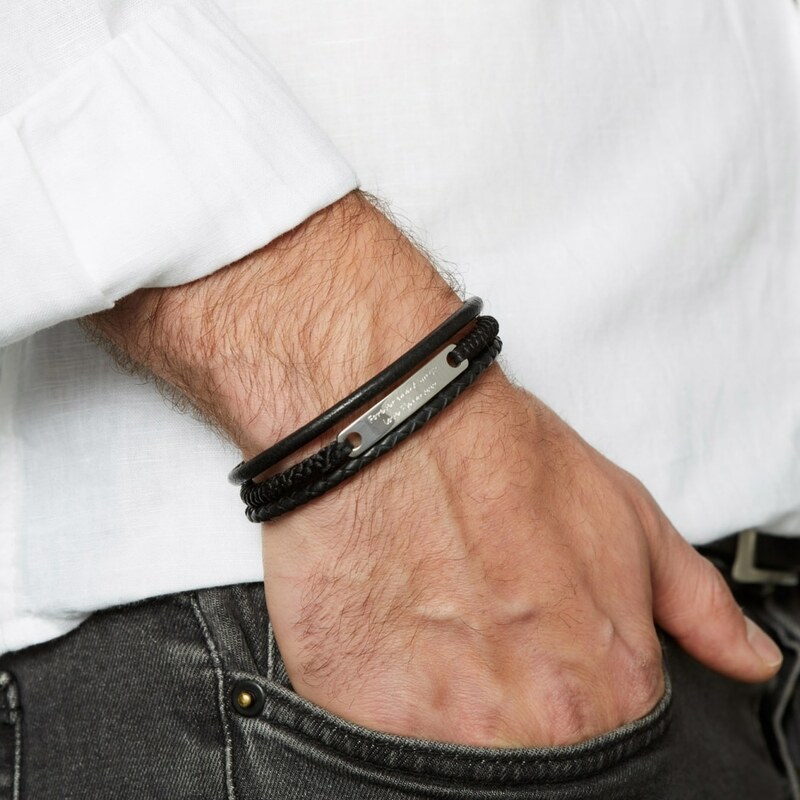 These leather bracelets will complement formal, casual and evening wear, whether dressed for surfing on the beach or in your tux for the red carpet! 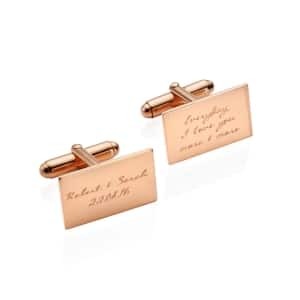 These personalised leather accessories also make fabulous gifts for your best man or groomsmen on your wedding day. *Please double check text before submitting your order as we will engrave exactly what you write. 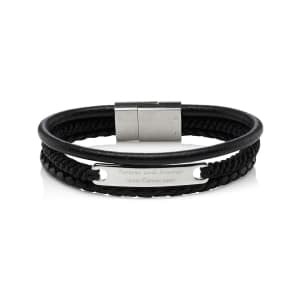 Our leather bracelets for men are available in three choices, 20 cm, 21 cm and 22 cm. 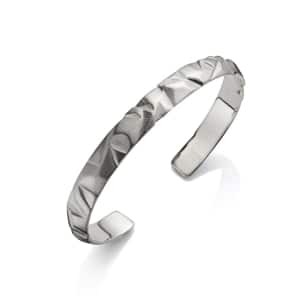 Service rating : Liked the look of the bracelet,purchased it arrived 3 days later love the quality of it and the engraving is perfect,also the packaging is really nice,really happy with the service would definitely order again. Service rating : Thank you. 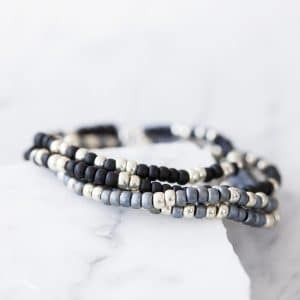 Product : Beautiful bracelet and as described. Engraving was nice and clear. 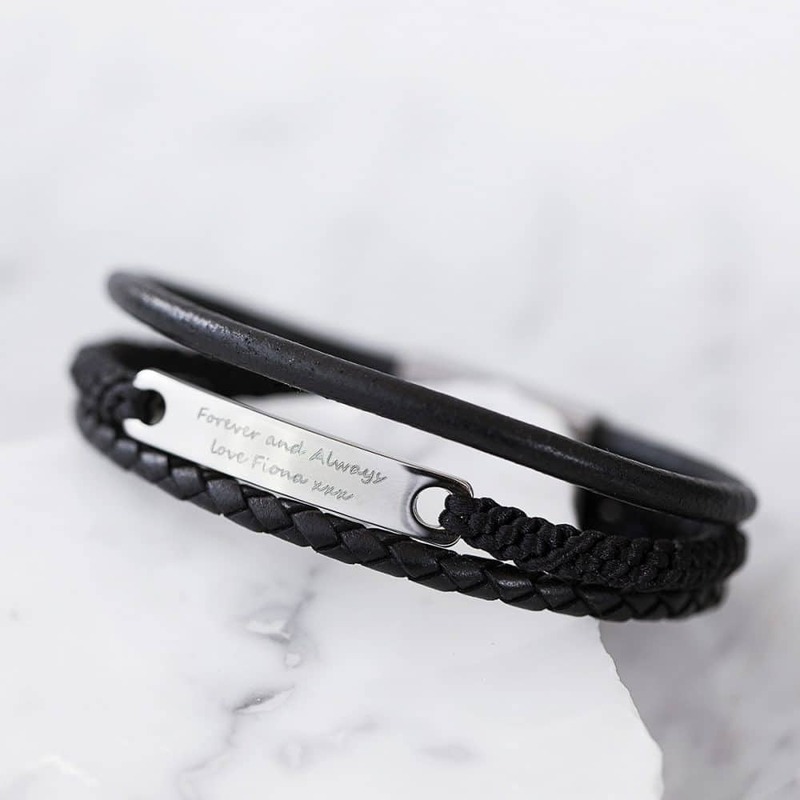 Ordered a leather bracelet with engraving on. Delivery was excellent especially as it was just before Christmas 🎄. The presentation box and wrapping was excellent I couldn’t wait to see the bracelet and I was not disappointed. The quality and engraving were first class and I can’t wait to give this gift to my husband. Thank you. Service rating : I'm very pleased with the purchase. Very fast delivery too. The bracelet looks amazing. An wonderful gift for our wedding anniversary. Thank you! 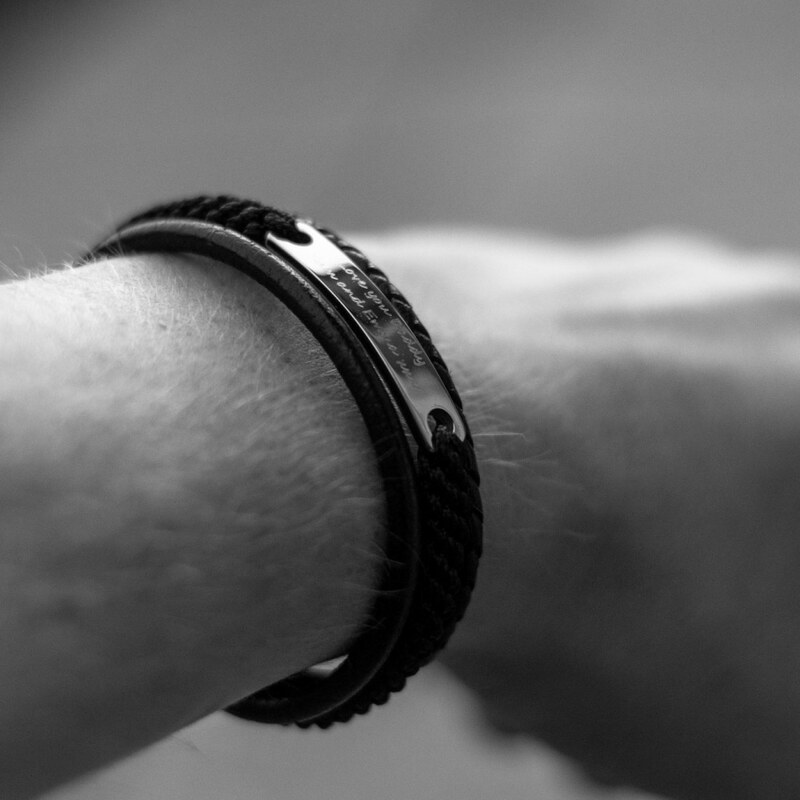 Product : The personalize bracelet was an wonderful gift for my husband. Very nicely done. He loved it. Thank you! Service rating : Excellent customer service – Katherine came up with some great ideas that really hit the spot! 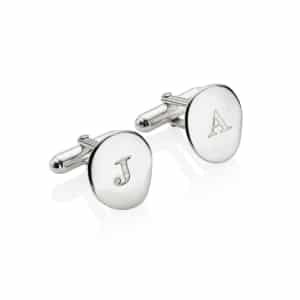 Product : The perfect gift – engraved front and back... hiding a secret message!